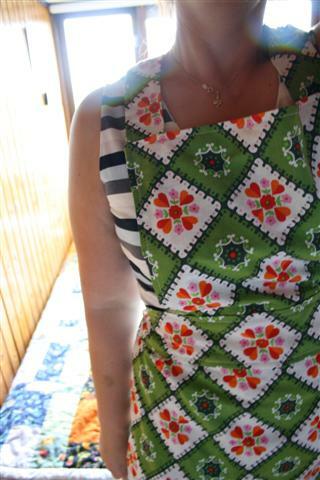 This vintage fabric just begged to be an apron. Or at least I thought so. I kept it simple, just straight lines, but I like the result.